There are so many different free-from diets nowadays, that although there seems to be a plethora of cookbooks, it can be hard to find a cookbook that will suit your needs. If you have one of the less common food sensitivities or an uncommon combination of food sensitivities , or you follow a vegetarian, vegan or mostly plant-based diet (AND you have food sensitivities it can be harder still! 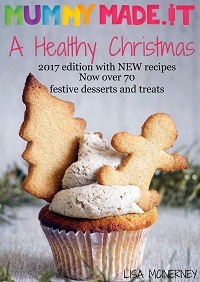 So I’ve put together a little round up of some allergy-friendly Christmas cookbooks which should pretty-much have your Christmas cooking needs covered. (And if you’re short of gift ideas for those free-from friends who fit the categories I just mentioned, these books could make a great stocking filler:-). 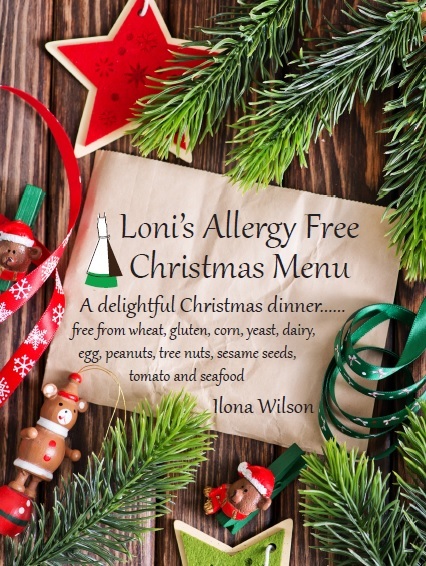 Sample the book: See inside the book on Loni’s website. Free-from options: Top 8 Friendly, gluten-free. Sample of the book: See pictures of the recipes on Sonya’s website. Free-From options: Gluten & dairy-free, refined sugar free, paleo friendly. Some of these recipes will contain egg. Sample of the book: See pictures of some of the recipes included over on Lisa’s website. by Lisa White et al. Free-From options: Dairy & Meat free. Most of the recipes are gluten, egg, soy and nut free too. When a recipe contains one of these ingredients, there are alternatives listed and also often a version of the recipe without that ingredient too (e.g. we have 3 short bread recipes: 2 without nuts, and 1 with nuts. 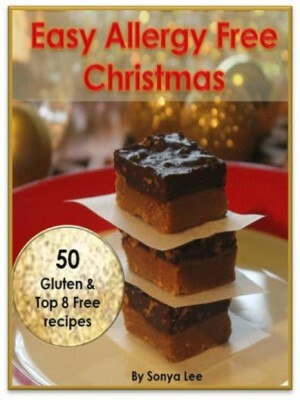 All 3 shortbread recipes are gluten, dairy, soy and egg free). Number of recipes: 21 recipes. Also, options for less common sensitivities are included too e.g. ginger free ginger bread. Type of recipes: Mostly sweets but there is a savoury veggie roast and rich red wine reduction included. All recipes are vegetarian friendly, each recipe either has a vegan-friendly version or is vegan-friendly, so it’s a great option for people following plant-based diets. Format: ebook available on Amazon Kindle, Kobo and ibooks. Sample of the book: See pictures of some of the recipes included here. And use the free “look inside” feature or see a “sample a feature” on Amazon (click on the link to the correct Amazon store for you here). 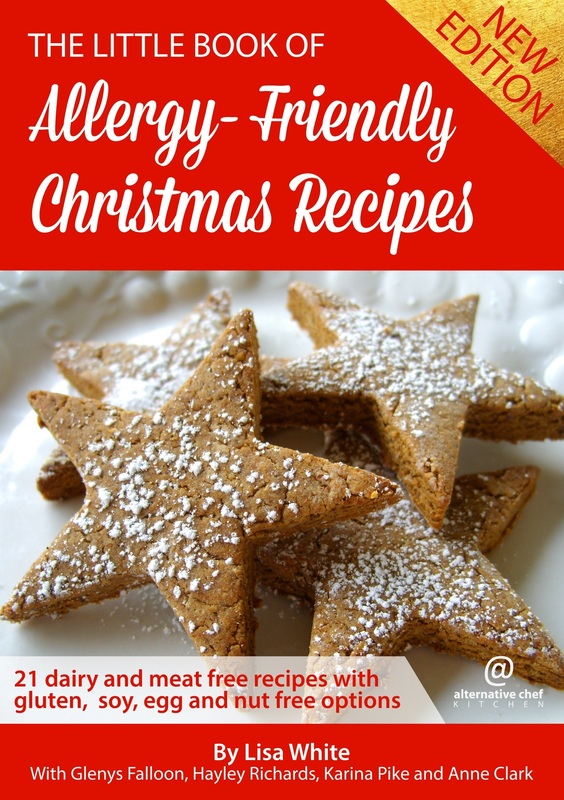 Do you have a free-from Christmas cookbook that I haven’t listed here? Let me know. Also, our Vanilla Shortbread episode comes next week, and we’ll be back with Season 4 in 2018… so if you don’t want to miss out, make sure you join our mailing list by entering your name and email address below.